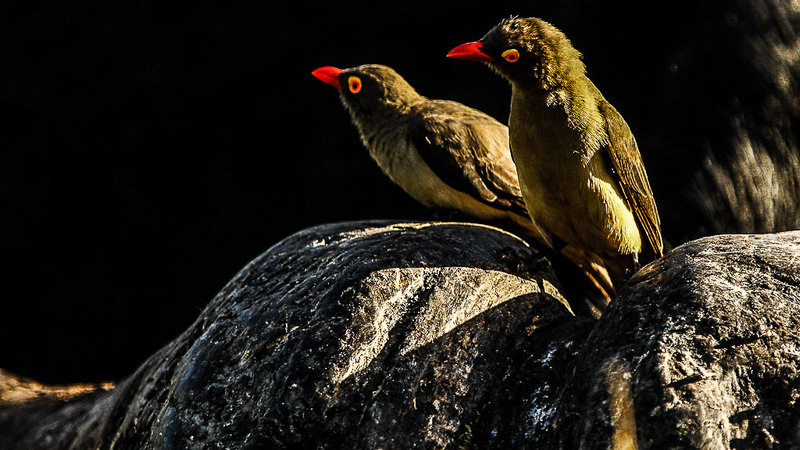 The month of May was a successful one with great sightings and estatic guests, mornings and evenings were little chilly but the days were pleasant. Morning breaks with tea, coffee and hot chocolate are becoming more popular as we get into the winter season. Our dams and many of river systems are fill up we should have enough water to last us through dry winter this year. Surprisingly, Sand River’s water level is low considering the huge floods we had early this year. 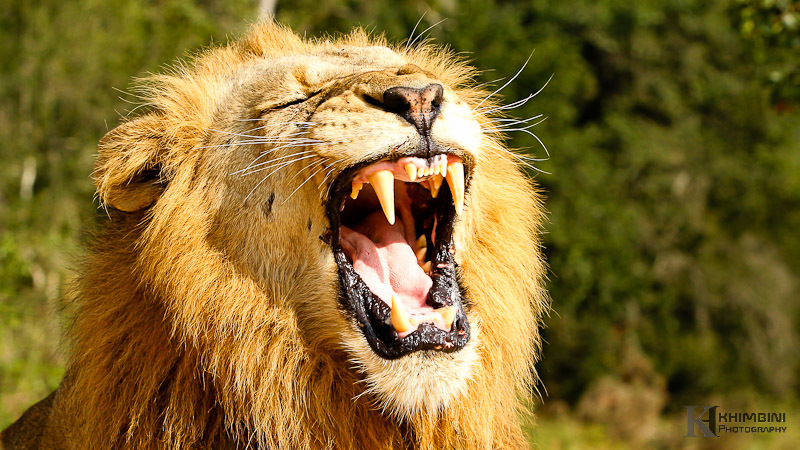 We are often ask what differentiates safari destinations, well location must be one of them, pristine wilderness, diversity in habitat, enough resources to support huge numbers of big game…. 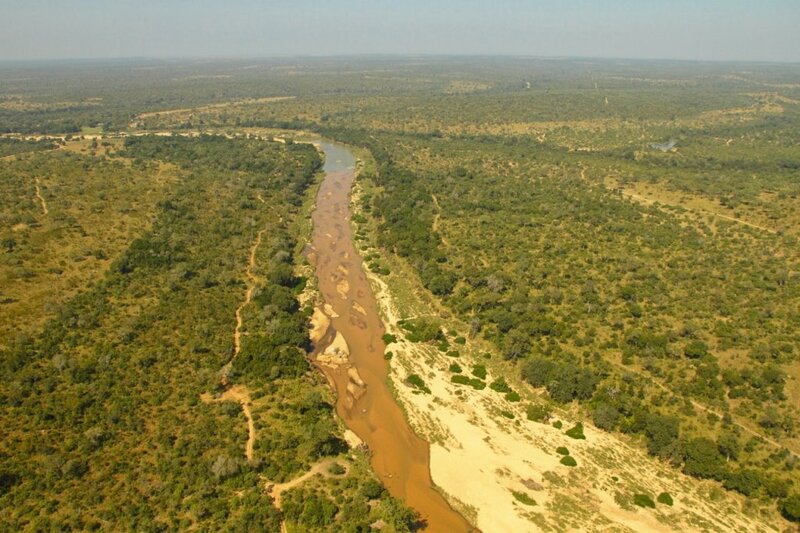 (On picture below) follow the river to the top of the picture and note the green patch on the bank, sits Inyati Game lodge. Leopard galore! Sightings of these beauties have been outstanding over the past month. 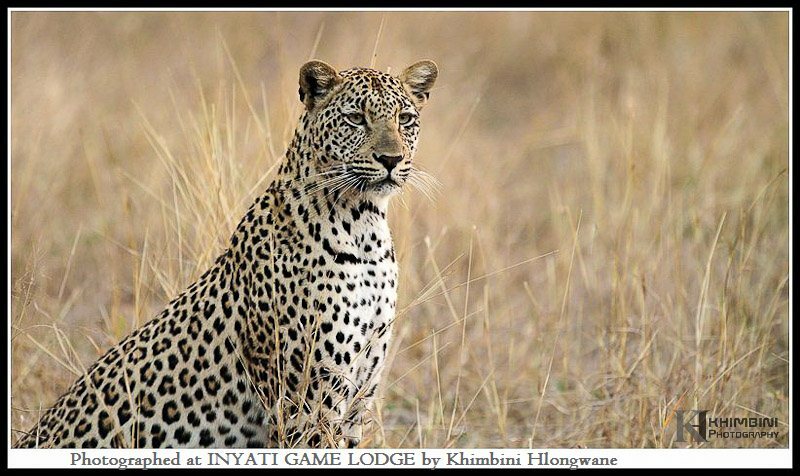 Even Khashane male who spent most of his time out of our traversing was here with us for most of the month. We were following him on one morning while on his territory patrol when two impala ram chased each other right passed him. Even though his focused was on a territory marking he couldn’t resist this opportunity of a meal. He followed them for about two hundred metres waited for the two fighting antelopes to lock horn, he then literally run in and took one of them. 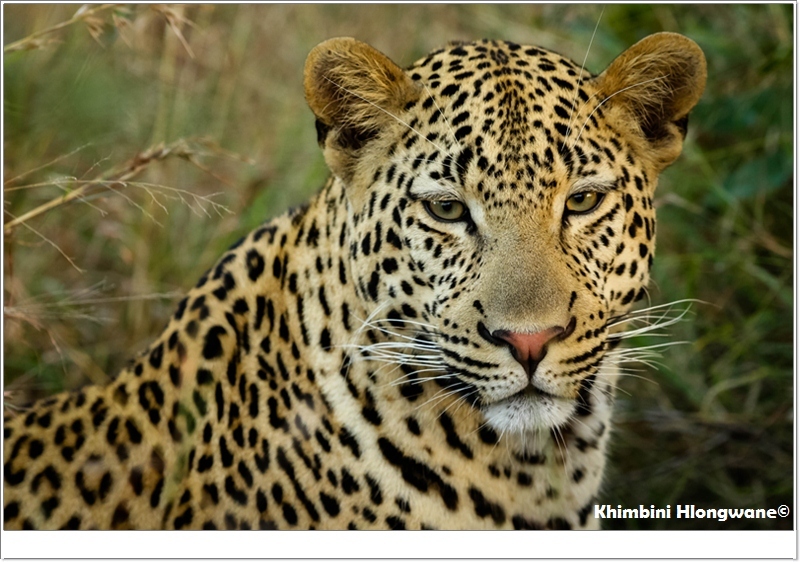 The elderly female leopard, Shangwa and her grown cub continue to provide us with the most rewarding experiences – they have been seen with kills couple of times this month. Later in the month she picked up few injuries, one wound on her forehead she is also looking undernourished but she should get better soon. The cub has been seen on his own a lot, have begun to wonder way out of his mother’s territory to explore new areas. He has grown in size and in confident as seen often patrolling every corner of his prime territory with no fear. 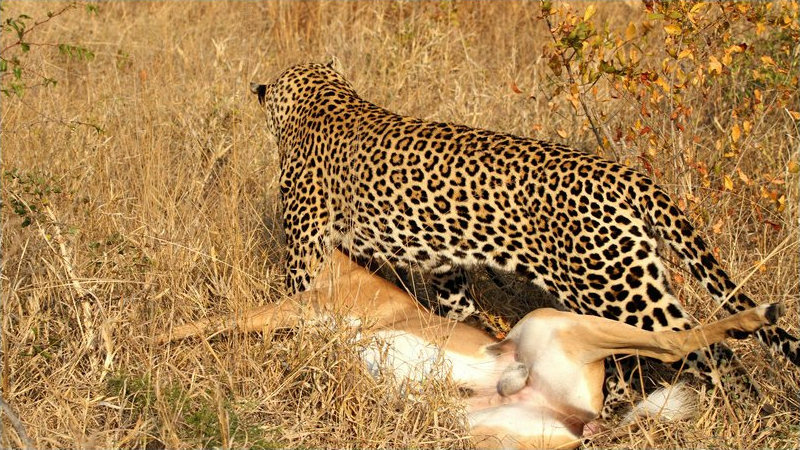 They say no one has perfect life, but some come really close, all is seemingly good for this leopard right now. The most viewed of our leopard, Tlangisa was little bit scarce this month she had ventured completely out of her territory, we were all very surprised to see her on far north-western corner of the reserve where she spent couple of weeks exploring the area. On her return she got into a little territorial dispute with Dam 3 female who on of their territory boundaries. The dispute was resolved without a physical contact they eventually separated moving back deeper into their own territory. 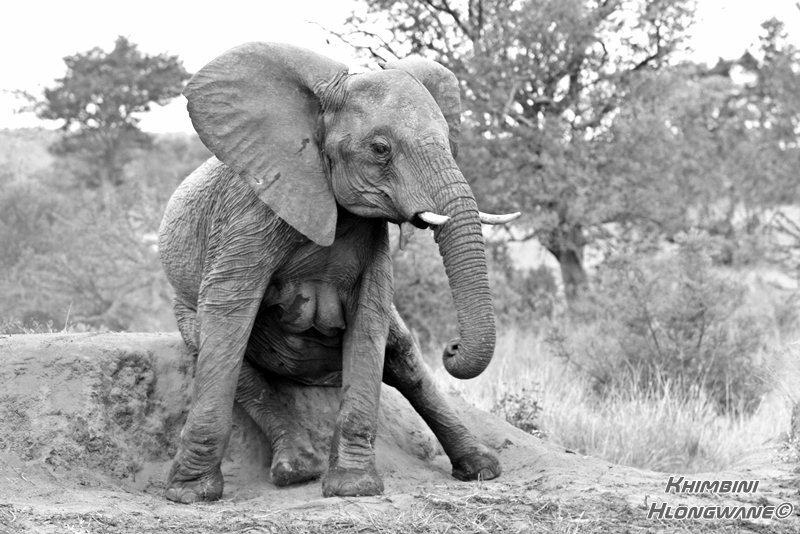 Tlangisa was noticeably very careful of the older and large Dam 3 female. 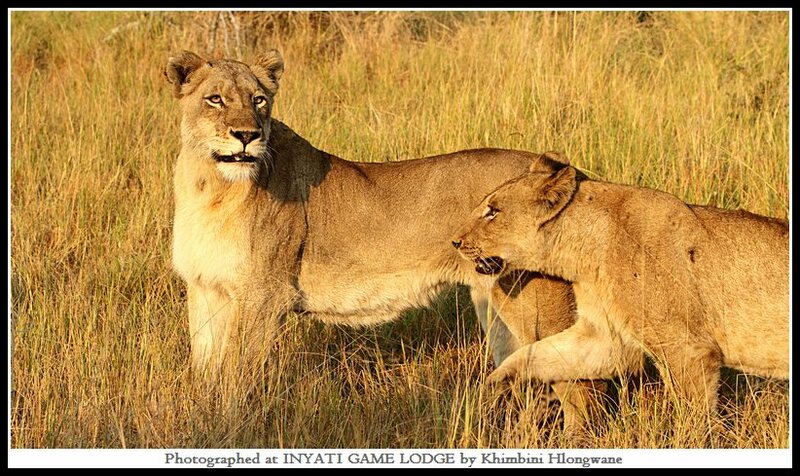 The new dominant males, Selati have spent a good part of the month with the three Ottawa lionesses of which two of them were in oestrous. 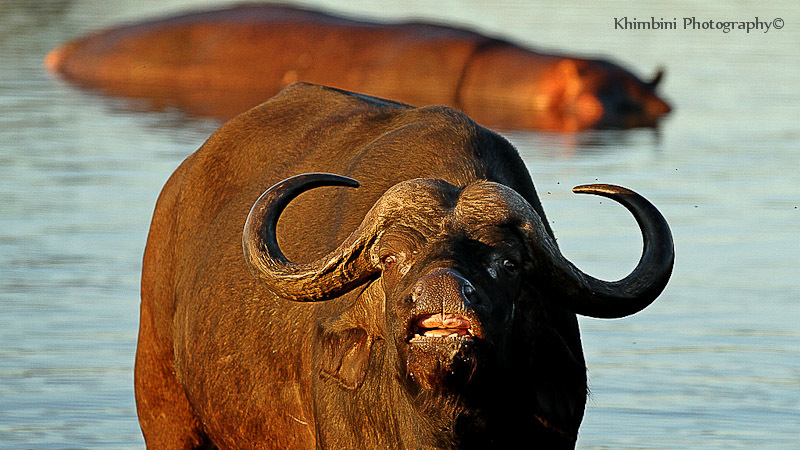 The boys did manage to pull down at least couple of buffaloes this month. While they were feeding on the buffalo, one of the younger male sneak away he was found the next morning in the different area mating with two lionesses at same time. It didn’t take long before the three brothers caught up with him. 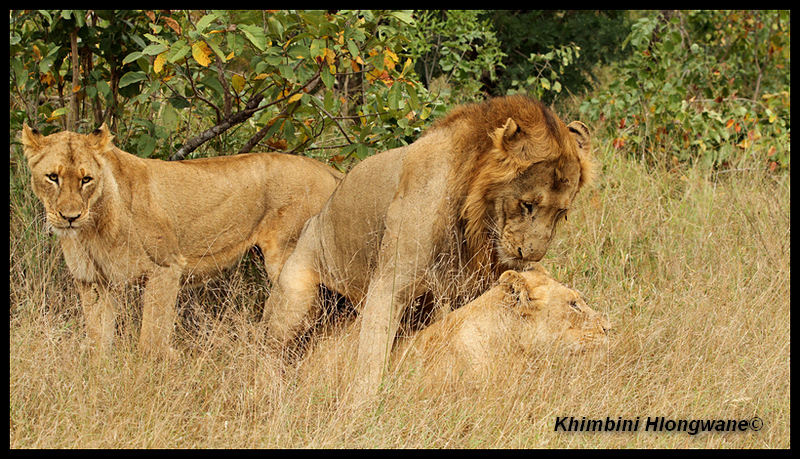 This was the first time that the bond amongst these males was put to real test, the younger two males have been given so many chances in the past but this time it wasn’t the same there was few serious battle between among themselves and the younger two who initially claimed the lionesses where beaten up and driven off. 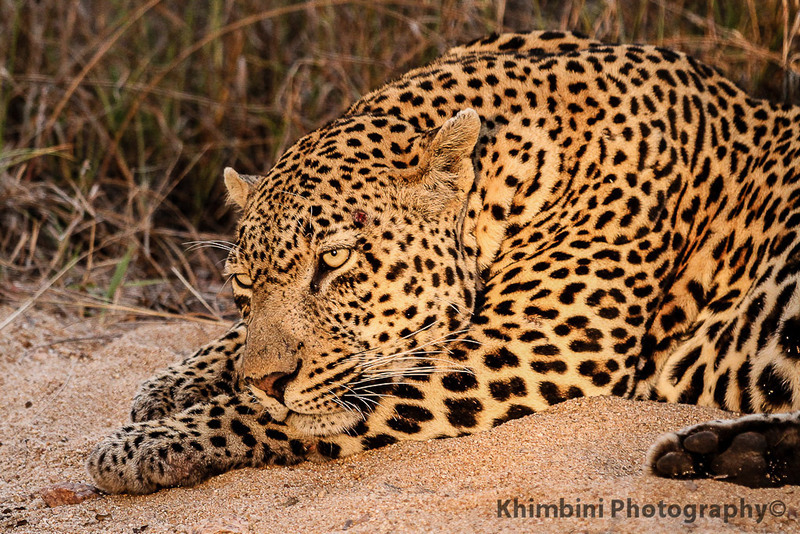 Our resident pride, Ximhungwe has been out of our traversing area into the eastern section of the reserve this was to obviously avoid the Selati males who will more likely kill the cubs if found. On return they find a corner where the Selati males hardly ever go, they stayed there safely for weeks until the end of the month when were found by the males. 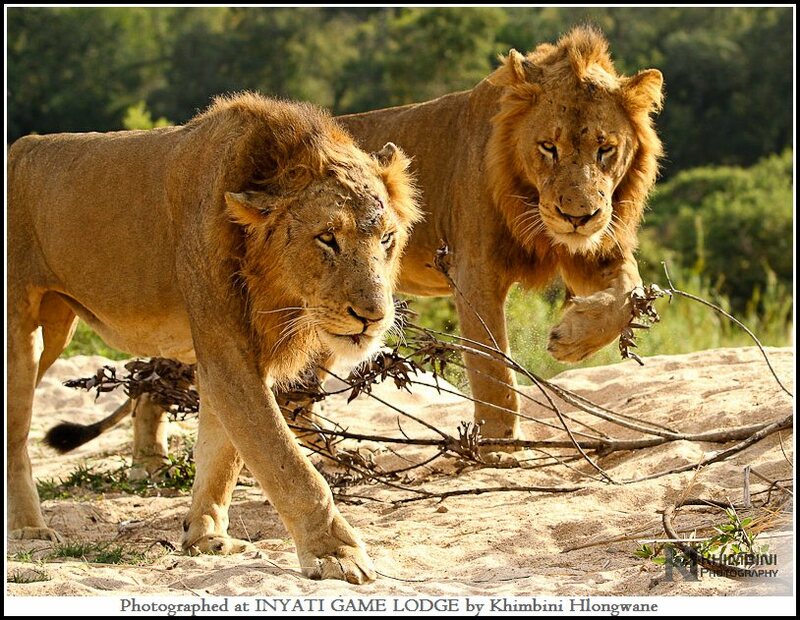 We found them in the morning followed as they ran through almost the entire length of our traversing area, we noticed that two lionesses were injured and tree cubs were missing. We feared that the pride might have lost three cubs but few days later two of the missing three were found alive, so only one is killed. 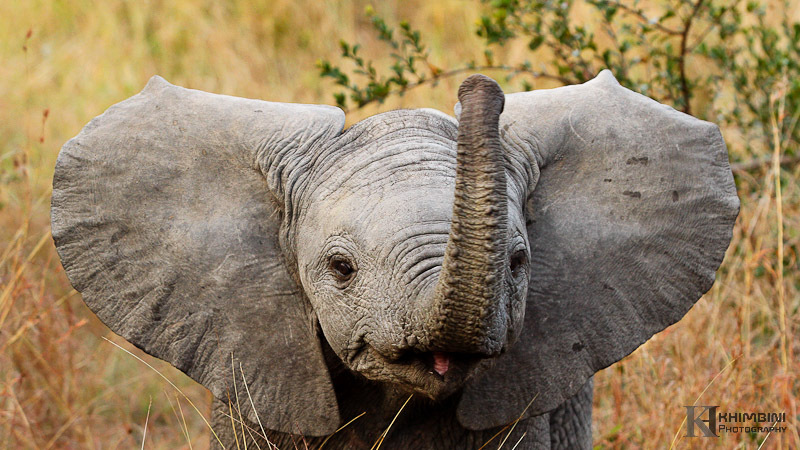 Elephant sightings were really fantastic. Breeding herds of these grey goliaths were seen all around the traverse area this month. We watched these gentle giants for hours and they seem to enjoy our presence as well. One of the cows was performing all the tricks including “bum scratching” as can be seen on the picture below. We also had close encounter with one of the youngster, when her decided he was going to drive us away by shaking his head and hold his ears out as he charge at us. His mother seemed not to pay any notice to us or him. The big herd only pay couple of visit this month but we were never short of buffalo there plenty of solitary and bachelor herd along the sand river. In one of the dams the herd visits for a drink is resident by a lone hippo, he doesn’t seem to mind their presence rather fascinated as he often try to get close to the buffalos for a closer look. I guess as lonely bull driven out of the herd he does need little company sometimes, after all friends come in different sizes. 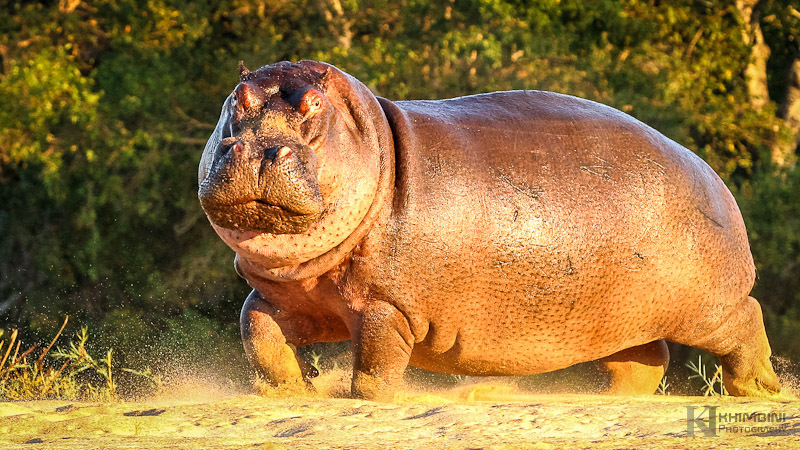 Hippos spend most of their daily hours in water and nights on land grazing along, but with the cool weather they can be seen lying on the banks of rivers and dams. We had are great viewing of couple, cow and bull chasing each other around at Inyati causeway. Steenbok is the smallest of the antelope species we get to see, these little antelope w ill generally scuttle off but we saw one that was very relaxed and curious she decided to investigate the game drive vehicle instead. 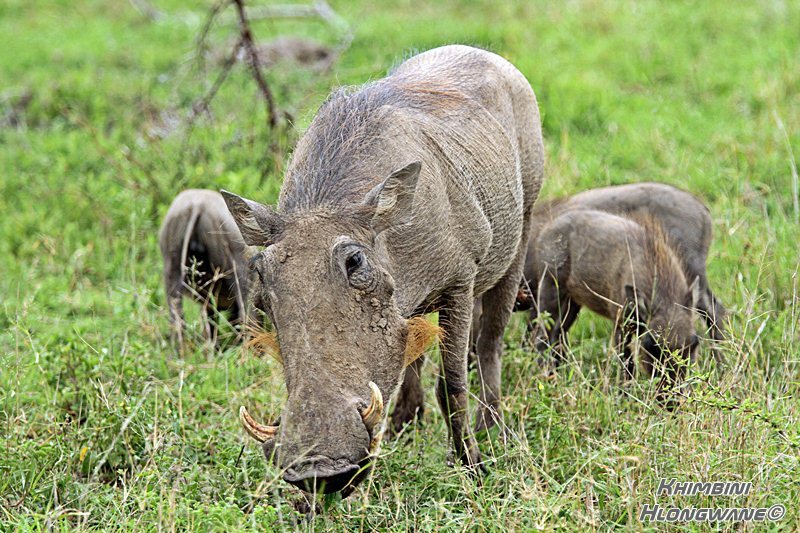 The resident sounder of warthogs constantly visits us at the camp, feeding on the green grass, giving us superb close up views. The piglets are growing fast they have become accustomed to people walking around the lodge, very entertaining as they roll in the mud wallows to cool off at mid day temperatures. 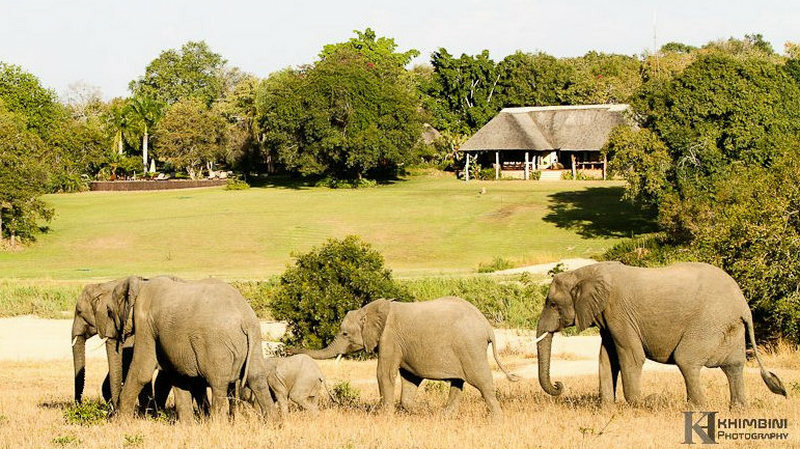 As winter’s cold dries the vegetation elephants follow the rivers in search of greenery and our lodge is just in perfect place, guests are able view these animals as they flock up and down the river. Previous PostIndaba 2012Next PostLeave time just to do nothing – to enjoy the peace, sense of space, the colours – the very essence of Africa.